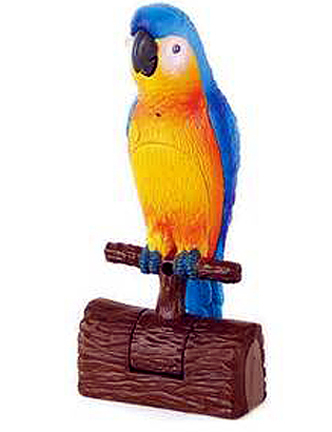 What a fun idea for the youngsters in your parrot loving house! The parakeet will talk about (press the button and "red" eyes is recording ... "green" eyes will Talk Back. 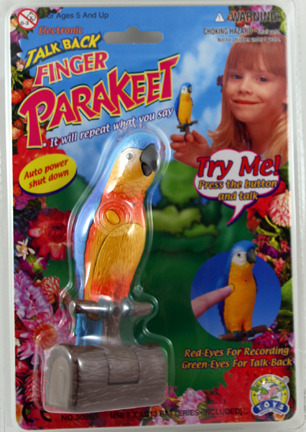 You can even take the Talk Back Parakeet off its stand and it becomes a finger pet! Made of hard plastic, batteries are included (and they're also replaceable). Limited quantity!